In a world where art is illegal, a weaver discovers her skill is a gateway to magic and the power of dragons, the key to restoring a god-king’s fallen empire. But will she rise to power before the ambitious destroy her? Rena is a young woman with a magical ability expressed through weaving. She lives in the dark city of Gholheim, where a harsh government bent on the suppression of art forces her to practice her art in secret. When her uncle exposes her gift to the ruling authorities, Rena is pulled against her will into the royal court, where she discovers her gift is in fact the sign of a birthright — she is the long-lost daughter of Azzadul, a god-king who once ruled the world far and wide. Because of her identity, Rena is caught in the heart of intrigues hatched by ambitious men and women, some who wants to set her on the throne to rule as their puppet, others who want to kill her to prevent her from becoming too powerful. The worst of them, a rogue ruler of the Underworld who calls himself Zavram, wants to steal her power to amplify his own dark arts. If he succeeds, he will become like a god, more powerful than Azzadul. Amid the struggle for power, Rena must master her gift, rise up above them all, and claim her destiny, but if she succeeds, will she restore her father’s vision? Or will the immensity of her power make her just as terrible as Zavram? Read some of the opening chapters of Blood Dawn over at Inkshare.com by clicking here. 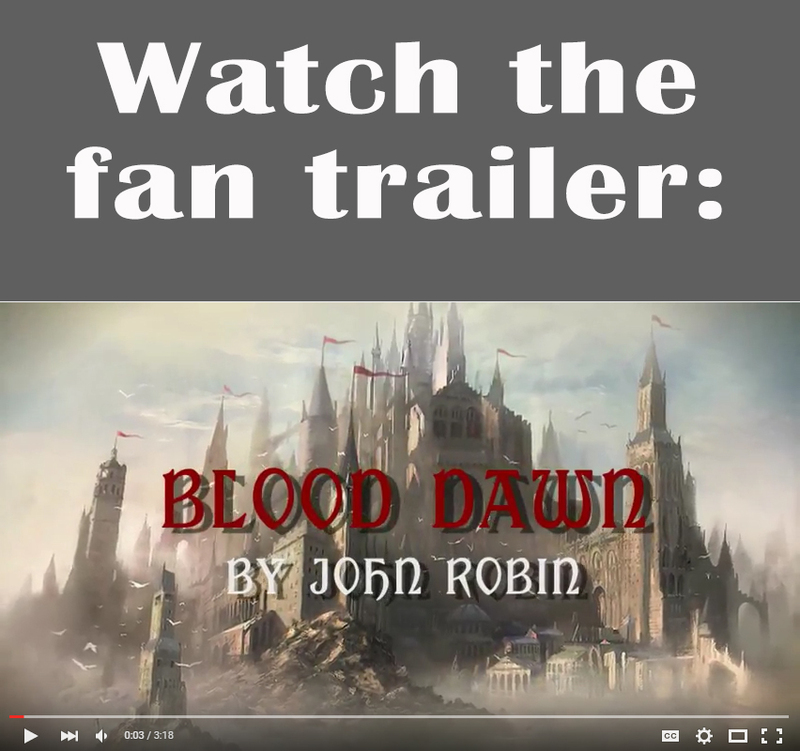 Blood Dawn is a grand fantasy epic told in the tradition of John’s favorite fantasy authors – J.R.R. Tolkien, Robert Jordan, and George R.R. Martin. Imagine Game of Thrones set in a world reminiscent of pre-Victorian times (~late 1820s) with a fair helping of magic and Tolkien-esque myth-building. Rena’s story is at the heart of it, but there are six other characters whose lives are interconnected with hers, and John explores the theme of free expression versus conformity through each story line. To connect the work to an early readership, John put Blood Dawn on the crowdfunding-based platform Inkshares.com, between April 2015 and April 2016, resulting in a fan base of now more than 200 readers who are eager to read his published work. The task of writing the second draft of Blood Dawn led him to instead split the novel into three. The first part became the reworking of an older manuscript, A Thousand Roads. Fans of Blood Dawn can look forward to this novel as his third book, but also as the three books to come starting with his debut October 31st, 2018.